The company is affianced in manufacturing, supplying and exporting preeminent quality and hardwearing Brick Making Machine. Our quality assurance team stringently check the Machine for dents, scratches or other defects so as to bring forth an impeccable and flawless Brick Making Machine. Our Machine is impeccable on counts of longevity, production capacity and construction. 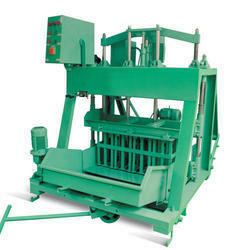 We are a celebrated Manufacturer, Supplier and Exporter of Hollow Brick Making Machine in Tamil Nadu, India. Looking for Hollow Block Making Machine ?